A Syrian Love Story focuses on a Syrian couple from the start of 2011’s Arab Spring to the present. I saw quite a few documentaries at this year’s VIFF. A Syrian Love Story was one documentary that gets one thinking. This is a documentary filmed year by year over five years. It starts in 2010 while Syria is going through its start of political turmoil. It had been under turmoil since the 1970’s when Hafez Al-Assad took power and any reforms promised by his son Bashar, who succeeded Hafez in presidency after his death almost ten years earlier, doesn’t deliver in the reforms he promised. Images of protest met with a violent response from government forces are too common. Caught in the middle is a married couple of Amer Daoud and Raghda Hasan. They have four sons from 6 to 22. Amer is living in Damascus being a father to the children. Raghda is in a prison for publishing a book about their relationship of all things. Amer and Raghda are no strangers to political oppression in their home country. Raghda has face imprisonment because she’s a communist revolutionary and Amer was once imprisoned with his ties to the PLO. In face they both first met in prison and fell in love through communicating through a prison wall. Sean McAllister is in Syria looking for something about Syria’s crisis to film but something out of the ordinary. He finds it in Amer and Raghda. McAllister also shows us their four sons. The first year he films Amer’s phone conversations with Raghda while she’s in prison. He gets her sons to talk with her as well. McAllister was even imprisoned for a few days for a journalism crime and was able to listen first-hand to the torture in Syria’s prisons. He even meets the older son who broke up with his girlfriend because she was pro-Assad. Despite all this, McAllister does show a case of hope for the future, for all. In 2012, Raghda is finally free. She is reunited with her husband, sons and the rest of her family. But they can’t stay in Syria, not while there’s civil war that started once Syrian people revolted against Assad during 2011’s Arab Spring. The family move to a refugee area in Lebanon. They do it not simply for the sake of themselves but their sons too. McAllister is nervous for the couple’s future since he knows behaviors of prisoners after they’ve been freed. He hopes Raghda doesn’t exhibit behavior that will hurt their marriage. In 2013, they find themselves in Paris, France. Things are definitely better for the two youngest children Kaka and Bob. Bob is in a good school and Kaka is able to become a disc jockey at his high school. Things appear to go well for Amer and Raghda as they’re able to make a living for themselves but there’s a sense that something’s wrong. The children sense it. In 2014, we get a good sense of what’s wrong. Amer and Raghda’s marriage is crumbling. Amer feels distant from Raghda and has a French girlfriend of his own. It upsets Raghda to the point she changes the password on his laptop. She even attempts suicide by cutting her wrists. No doubt it upsets everyone. She them admits she never had the chance to find herself and she feels that despite her political freedom in France, she still feels she can do more for Syria or for others hurt by war. The film ends in 2015. They two youngest sons have a promising future in France. Their older son reveals his pro-Assad former girlfriend was killed. Asad runs a chicken farm in France and is without Raghda. He wishes her well in whatever she does. Raghda is now in Turkey in a city 20 miles from the Syrian border. She works with refugees and is happier with her life now. This is a unique story of love that starts with one hoping for a happy ending. We know Syria won’t turn out for the better but we hope that Raghda will be free and will return to her family and they’ll live happily ever after. We all want that storybook ending. Unfortunately it doesn’t end up that way. McAllister knows the problems prisoners exhibit after they’re free and he lets Amer and all of us know it. Over time, it shows after the moves, after Syria’s continued strife and after one senses the love between the two fading over time. It was unfortunate. The moment of hope doesn’t end up being when Raghda is free but rather when Amer is still in France and Raghda is in Turkey. That’s where the true scene of hope for the better is present. The story is not just about the couple. It’s also about the surrounding family. This is especially noteworthy of the two youngest sons, Kaka and Bob. Bob is six at the beginning and the youngest. He tried to be a carefree child but the hurt of knowing his mother’s in prison is evident. Kaka is ten at the start and familiar with the realities in Syria. He’s able to tell Sean in good enough English his feeling of the situation, and of how he’d either like to fight or kill Assad. As they grow, the changes are present. Bob is getting bigger but has difficulties fitting into his school in Paris because his long hair causes other boys to call him a girl. Kaka is getting a better education but can’t ignore what’s happening to his parents. He can sense what’s happening and has his own opinions on what he feels should happen. Although the two are not the main protagonists, their presence in this story is vital. One thing about this documentary is that the story focuses more on the fading marriage than it does in the strife in Syria from civil oppression to public outcry to a civil war to the eventual crisis with ISIS. However it does focus on the couple as they were fighting their own war with each other. They go from loving each other and having a closeness while Raghda’s in prison to the love fading over time after Raghda is free and they’re together again. It’s sad that they were closer together when Raghda was in prison. It’s even hard to pinpoint who’s the bad guy. Is it Amer for his fading commitment? Or is it Raghda for her inner strife? Amer appears like a jerk not even willing to try when he says things like “Syrians love prisoners,” but Raghda’s suicide attempt gets you wondering was she thinking of her family at the time? Watching this documentary, I believe that this isn’t the type of documentary meant for the big screen. With the camera quality, editing and McAllister’s voice over, it fares much better as something for television broadcast. I’m sure that’s what it intends to be. I have to give McAllister credit for having the ability to do all this filming over time and to present a unique story. I also give Amer and Raghda credit for McAllister willing to film them while their marriage was hitting rock bottom and they were showing terrible behavior such as Amer threatening to smash his laptop and Raghda slitting her wrists. It surprises me that they were willing to show things that personal on camera. A Syrian Love Story may not be a documentary meant for the big screen but it’s a very revealing story that reminds us not all love story has the fairytale ending. despite the hardships they show, it does end on a hopeful, if not happy, note. Well how about it? Exactly thirty-four days have passed since the Academy has given out the golden statuettes. The box office results of the nine Best Picture nominees also have a lot to say too. Some good, some bad. This year’s charts shows some interesting stats involving the nominees. Four movies–The Tree of Life, Moneyball, The Help and Midnight In Paris–had already completed their box office runs long before the nominations. Some opened again after the nominations were announced but it attracted modest-size crowds compared to its heydays months earlier. War Horse opened late in the year but it had already neared its total gross just before the nominations were announced and the nominations had very little effect on its gross. The movies with the biggest boosts of the Oscar nominations were Hugo, The Descendants, The Artist and Extremely Loud and Incredibly Close. Hugo grossed most of its total share before the nominations but the Oscar nominations helped increase its gross an additional $13 million before the Oscars. Oscar wins helped give Hugo an extra $4 million even though it was already on DVD just two days after the Oscars. The Descendants was another movie that was already doing well before the Oscars possibly because of George Clooney’s star power. Nevertheless this film had the biggest post-nominations gross of all nine Best Picture nominees with $31 million including an additional $3.9 million after the Oscars were awarded. Extremely Loud And Incredibly Close and The Artist were the two Best Picture nominees whose grosses more than doubled after the nominations. Both films did so-so before the Oscar nominations with Extremely Loud grossing just under $12 million and The Artist grossing just over $12 million. The nominations would change lots as Extremely Loud has grossed an additional $20 million since the nominations. The Artist would also gross an additional $19.4 million between the nominations and awards but its Oscar wins including the Best Picture win would help give it an additional $11.4 million to date currently standing at $43.3 million. 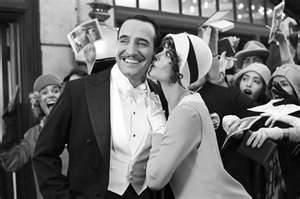 The Artist is the only Best Picture nominee this year to gross even as much as $5 million after the awards. The biggest surprise about this year’s set of Best Picture nominees isn’t necessarily because there are nine instead of ten but that only one, The Help, has grossed more than $100 million either before or after the Oscars. Even last year, there were five that would at least have a total gross of more than $100 million. The average gross of this year’s Best Picture nominees of $69.6 million is actually the lowest average since the more-than-five nominees system was reintroduced at the 2009 Oscars and the lowest since the 2006 Oscars fivesome. This year’s hit movies were left out of the cold. There was no Disney/Pixar blockbuster that found itself in that group. There was no movie with a lot of Oscar buzz that caught on in a big way. Even the family-friendly Hugo didn’t hit the $100 million mark. A shame since the movie cost $170 million to make. Even seeing how The Artist hasn’t even hit the $50 million mark tells quite a bit about the box office crowds. Its gross isn’t as low as say the The Hurt Locker was two years ago but it still says a message not just about box office crowds but even the Academy and their voting, how nowadays crowd fanfare doesn’t mean an awful lot in choosing Best Picture. So there you have it. The rundown of this year’s business involving the Oscar nominees and winners. Each year tells a different story on both the Academy’s voting and the box office outlook. Next year’s should also tell a lot too. Stay tuned. Georges and Peppy's fates are sealed with a kiss in 'The Artist'. Miss silent movies? Some of you are too young to know what silent movies are, never mind appreciate them. Anyways The Artist is a throwback to the days of the silent movie and it does a top notch job of it. Peppy and Georges meet again as she auditions as a dancer for his latest movie. He insists on giving her a role and even gives her a fake beauty mark for a competitive edge in Hollywood. It works as her fame is soon rising. Meanwhile Georges has a nightmare one night where he’s in a world of sound and he’s the only one who can’t talk. It’s 1929 and Zimmer announces that Kinograph will now be doing movies with sound, or ‘talkies’ from now on. Valentin is unhappy feeling talkies are a passing fad. He stubbornly makes and directs his own silent film with his own finances. Unfortunately it opens on the same day as Peppy’s latest talkie release. Before the release, she’s being interviewed in a restaurant where she proudly talks of herself as ‘fresh meat’ and ‘out with the old, in with the new’ until she comes face to face with Valentin. Peppy’s movie is a hit while Georges’ silent movie is a flop. Georges’ wife kicks him out of the house and he takes up an apartment with Clifton. Meanwhile Peppy is a major Hollywood star. Despite her stardom, she never loses her thoughts and concerns for Georges. She even attends the premiere of his silent film. Things turn for the worse for Georges especially after the stock market crash where it gets to the point he auctions everything off and fires Clifton who he hasn’t paid for a year. One day in a drunken rage, he burns all the copies of his movies save one. He’s trapped in the fire and can’t get out until Jack the Dog is able to attract a policeman’s attention. He’s rescued and taken to a hospital where Peppy soon takes him to her house to recuperate. Georges awakes not only to find himself in Peppy’s house but to learn Clifton now works for her. Peppy then pleads to Zimmer to get Valentin to star in her next film, even going as far as threatening to quit Kinograph if he doesn’t agree. Meanwhile Georges discovers all his auctioned-off items at Peppy’s house and then returns to his burned-out apartment. Peppy arrives at George’s apartment just as he’s about to commit suicide. It’s then when they reconcile and she persuades Georges let go of whatever pride is eating him and star in her next film. I won’t tell you how it ends exactly but it does end happily and on a surprise note. It’s unique that it shows the swing from the silent world to the sound world as a personal trial of Georges Valentin. The world of silence made him a star, made him beloved and helped define him. When talkies came into play, silent movies went out of fashion and Valentin faded with them. Even despite his insistence of them being an art form, silent movies were not liked anymore. Valentin’s devotion to silence and his anger to his lost fame almost becomes like a source of pride for him as he even goes as far as neglecting the help given from those who act like ‘guardian angels’ to him: Jack, Clifton and Peppy. It’s only in the world of sound, a world Georges feared, that he’s able to recover. Another thing this movie reminds us is that this world of disposable stars in Hollywood is nothing new. The movie does show a truth that a lot of stars popular during the era of silent films would lose their stardom during the start of talkies to a new era of stars. Does John Gilbert come to mind? And that line from Zimmer that: “The public wants fresh meat and the public is never wrong.” gives us a reminder of what Hollywood is about and always was about. Those who complain that Hollywood is not about the art of filmmaking and ‘all about the money’ are reminded in this film that it always was that way. Even while it has churned out some of the most classic and most beloved movies of all-time, it was still a profits-first system even during its Golden Age. The battle between ‘film as art’ and ‘film as entertainment’ still continues now. Overall this was an excellent movie that is the brainchild of French director Michel Hazanavicius. He directs, writes and even edits the film. He also includes Jean DuJardin and Berenice Bejo who have worked with him in two of his past productions. Their performances on their own stand out as two of this year’s finest. Often one thinks that a lot of acting involves annunciation of words but a lot of acting is also done in silence too. In fact there’s even one completely mute performance–Holly Hunter in The Piano–that even won an Oscar. And we see the quality of the silent performances in this movie. Supporting performances from James Cromwell and John Goodman also add to the movie and stand well on their own. Also we have the dog Uggie as Jack the Dog who’s as much of a charmer as he is a scene stealer. The accompanying score from Ludovic Bource is also another top quality of the movie that adds to its highlights. The set design and costuming also work perfectly to set the time period. You’d hardly know this was made in 2011. Overall this is a well-organized film that’s as entertaining as it is artistically merited. The Artist is a very charming throwback to the silent movie age. It retains the charm of silent movies and the era while maintaining an intriguing story and top notch acting. The big question is will its silence be golden on Oscar night? It’s heavily favored. We’ll just wait and see. It seems with every movie year, it tells a lot of its overall successes and failures. However its overall total would be the big determiner if it was a success of a year or not. 2011’s movie year not only showed one year’s lack of success but Hollywood’s continually declining success. 2011 started carrying the burden of the not-so-good news of 2010. 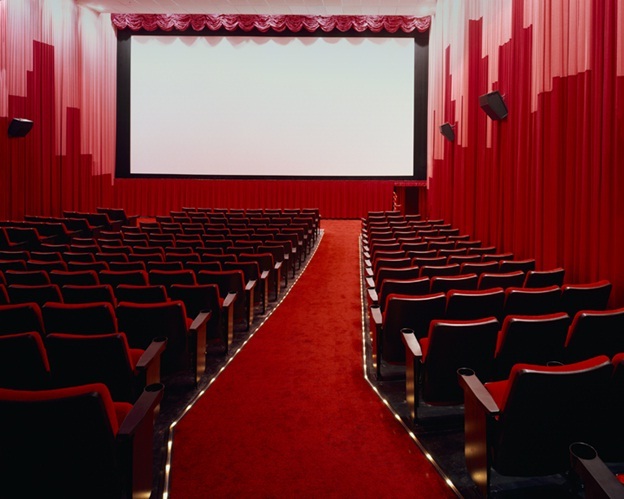 2010’s total box office finished at $10.565 billion: $30 million less than 2009’s record-breaking year. At first $30 million doesn’t seem that that big of a loss but there was one additional sobering fact. 2010 sold almost 1.34 billion tickets: the lowest since 1996. Even Entertainment Weekly made note of that during January of 2011 and offered some tips in increasing movie turnout. 2011 had even more sobering statistics to tell. The year’s total gross was almost $400 million less than 2010’s: a dip of 3.8%. These two years in a row failing to outgross each other was the first such pair of years since 1990 and 1991. Ticket sales were also lower: 1.276 billion to be exact and the lowest since 1993. Not pleasant at all. 2011 was not completely bad news. The year still grossed over $10 million and became only the third year ever to do so. The months of January to March failed to outgross 2010. Mind you it was hard to do considered January and March 2010 had mammoth hits like Avatar and Alice in Wonderland. That downtime ended in April as it managed to become the highest-grossing April ever at $948 million. Successes like the action movie Fast Five and animated family movies like Rio and Hop had a lot to do with it. May also managed to be bigger than 2010’s thanks to Thor and Pirates of the Carribean 4 but June was a setback of a quarter-billion. Movies with big buzz like X-Men: First Class, Super 8 and Cars 2 didn’t pan out as big as they hoped. July and August offered bigger grosses than 2010 thanks to Transformers 3, the last Harry Potter movie, Captain America, the Rise Of the Planets of the Apes and the sleeper hit The Help. Thanks to July and August’s success, the whole summer’s total just managed to squeak over the previous year’s total. September became the highest-grossing September ever, thanks in part to a 3D release of the Lion King but the last three months had lackluster box office results. Not even the latest Twilight movie, the second Sherlock Holmes movie or the latest Mission Impossible could help the last three months of 2011 outgross the previous year, nor lead 2011 to a higher box office total. So who or what’s to blame for this? You could blame the theatres for giving such irritating increases in ticket prices. You could blame the lack of box office star power of today’s A-list stars. You have to admit the star power of Julia Roberts, Tom Cruise, Tom Hanks and Will Smith isn’t as big as it used to be and there haven’t been any new ones to achieve the star power they once had. You could blame it on the lack of attractions at the theatres itself. That explains why a few theatres, including the Coquitlam SilverCity, have included an adults-only VIP lounge that includes alcoholic drinks. You could blame the lack of new winning ideas coming from Hollywood. You could also blame it on a lot of external factors as well. First the economy. You have to admit that tough times don’t make for being able to afford a night out at the movies that often. You could also blame it on a lot of the new media functions and new ways to see movies. In the last five years, Youtube and Netflix have come about and it has changed a lot with people seeing movies. Even cellphone companies have movies in which one can download and watch on their cellphone, much to the displeasure of the likes of David Lynch. In fact that has led to a lot of changes in businesses such as video chains like Blockbuster and Rogers either going bankrupt or reducing its stores. Even local stores like Vancouver’s Videomatica–which specializes in hard-to-find DVDs like cult movies, indie flicks and a multitute of classic movies–had to close their main shop and relocate to a record store to keep business happening, especially for their most loyal patrons. It also explains why it’s next-to-impossible to have a single-screen theatre as I stated in my article about the closure of the Hollywood Theatre. In fact in my city of New Westminster, there will be a cinemaplex opening up with ten screens and a total seating of 1800: an average of 180 per screen. That’s the realities of running a movie theatre nowadays. Also we should remember that we’re now at a time when video games make higher annual grosses than movies. So people are finding other alternative ways to entertain themselves. Despite all that’s happened last year and even happening now, 2012 has a lot of movies to show. Hollywood knows its demands and film festivals have their line ups planned. So hopefully 2012 should give you plenty of reasons to go see a movie this year. Okay. Now I’m done the one and only ‘2011 in Review’ article I feel I need to right. Now I can go back to what I do best, which is review movies and the awards season. Golden Globes predictions tomorrow. The annual Corruption Percentage Index has been released which ranks the most corrupt countries to the least corrupt. If there are two points one would most get from this list, it would be that Canada is slipping and that this is a very corrupt world. Since three years ago, I’ve taken an interest in a certain annual chart. It’s called the Corruption Perceptions Index and it’s released by Transparency International. Transparency International is an international watchdog association headquartered in Berlin with 70 international chapters that monitors the corruption levels in countries around the world. Every year since 2002, they publish what they call a Corruption Perception Index which shows the annual corruption ranking of each country. They rank the countries based on a scale they give from 0 to 10. 0 is completely corrupt while 10 is not corrupt at all. Many welcome their results while others question the validity and accuracy of the results. Some question whether Transparency International really has all their facts together when they make their list. The thing we shouldn’t forget about the list is that it’s about perceived corruption: the people’s ability to sense or notice corruption in their own country. This is based on poll questions ranging from “Do you trust the government?” to “Is corruption a big problem in your country?” Without a doubt, the results are rather surprising. Plus we shouldn’t forget that most governments do a good job of hiding their corruption so it’s hard to sense. In the past, Canada has done very well ever since the Index has been published. Canada ranked an impressive 10th-least corrupt in 2011 with a score of 8.7. However the rank becomes less impressive knowing that last year, Canada ranked 6th with a score of 8.9. Also making it less impressive is the fact that it’s Canada’s lowest ranking on the list since 2006. The lowest Canada ever ranked on that list was 14th back in 2006 and 2005, and what was around the time the Gomery Scandal was fresh in the mind of most Canadians. The most recent government scandal–the Harper government’s contempt of parliament which led to a national election–had a lot to do with Canada’s slip of four spots. Viewing the overall results can give some interesting facts and figures. Interesting how the Scandinavian countries and the major countries of Oceania had the highest rankings. The only Scandinavian country not to make the Top 10 was Iceland at 13th with 8.3. It’s a shame because they used to rank #1 in 2005 and 2006 with as high as a 9.7. Hong Kong ranked 12th. Many countries which has some of the most established democracies ranked lower than most people would expect like Germany and Japan ties for 14th, United Kingdom in 16th, the United States in 24th and France in 25th and Italy in 69th. The highest ranking country under a dictatorship was Qatar in 22nd. The highest ranking African country was Botswana in 32nd. Most of the bottom countries are already well-known for their governments continuously making bad news. They remind us that when things seem to be going wrong in our country, there are countries where corruption is not only very present but sometimes part of daily life. So there you have it: a brief summary of the 2011 Corruption Perception Index and its interesting finds. With the politics of the world changing frequently and varying from country to country, there should be many interesting finds for 2012. The politics in Canada will determine if we can improve on our 10th-place ranking. The nation of South Sudan should make its debut next year. Also Arabic countries which had successful fights for freedom this year could see interesting results for next year. If you want to keep track, Libya ranked 168th, Tunisia ranked 73rd and Egypt ranked 112th for 2011. Stay tuned for next year’s rakings. Spirit Of The Bluebird – This is mostly animation that’s very colorful and meant to tell a story. A story about a Native woman killed one night by two strangers. The bluebird is to represent her. At the end, we see her relatives standing by the building near where she died painted permanently with a mural in her memory. This was as much of a reminder that no one and nothing is forgotten as it was a picturesque short of animation. Parkdale – This is a very thought-provoking short to do about two sisters living in a rough area with a father who’s constantly in trouble with the law. As they try and draw up money for a bus trip to Kingston, this paints an unhappy but truthful statement about street youth and their attempts to try and stay afloat. Hope – As a war general lies on his deathbed, he confronts images of violence. It’s hard to make sense of it all. I’m sure that through some of the bizarre images the director is trying to make some statement. It didn’t come across too clear or maybe he tried too hard to be graphic. CMYK – This is another animated movie focusing on the primary picture colors: cyan, magenta, yellow and key. The filmmaker tries to be creative but the short ends up coming off as mind dizzying and drawn out. Oliver Bump’s Birthday – Oliver’ three older siblings died on their 13th birthday, and he’s doomed for the same fate. While all three made achievements during their lives, Oliver dreamed of the stars and space travel. On his birthday, he leaves his family party, which is quite like a pre-funeral, for his homemade space ship. You’ll enjoy seeing him chase his dream and enjoy a surprisingly enlightening and happy ending. Theatrics – Two flirty thirtysomethings go for a night out in a movie theatre with surprises left, right and center. Starts off with drinking a drink with horse tranquilizers and then leads to one misfortune after another. Humorous and amusing. Just hope I never have to go through what she went through. The Provider – Just when we see mention of the droppings of the atom bombs on Hiroshima and Nagasaki, we think we would get something serious. However we’d be surprised to get a darkly comical story about coming home. Very bizarre indeed. Cold Blood – I don’t know if it was because I saw a lot of originality of the previous shorts or because I was expecting something else instead, but this short came up less than what I expected. Perhaps it was just meant to represent an aspect of life. Perhaps it was as much about the mother of the two children as it was of the son giving blood for his sister. The Balcony Affair – This is one comedic short that is completely unpredictable. A lonely Russian man who’s always out on a balcony falls in love with a woman in the apartment across. Will they meet? Will they fall in love? The ending will surprise you, more than you expected. So there you have it. The shorts that made up Air. All were Canadian. All were unique. Some I liked, some I didn’t. Some were thought provoking. Some were meant just to entertain. Some may go on to bigger and better things. Some may continue to do just shorts. All were worth seeing. It’s good that a film festival like the VIFF showcases shorts from up-and-coming directors as well as from established film companies. It’s what makes the VIFF different from Toronto.